One of my favourite things to do since I learned how to cook properly/from scratch is to find and experiment with new recipes and flavours! Fuelling my body with fresh, homemade meals has become a bit of a hobby for me recently. As promised, here are some of the recipes I’ve been cooking up in the kitchen since Winter arrived. This recipe is less than 250kcals per serving and tastes like Christmas in a bowl! Put the squash and carrots into a bowl and toss with coconut oil. Cover the bottom of a baking dish with squash and carrots and roast uncovered for 35 minutes or until tender. In a large stock pot over medium heat, cook bacon until crisp. Then remove the bacon with a slotted spoon and set aside for the soup garnish, leaving the juicy bacon fat in the pot. Add the onion and apple to the stock pot and sauté in bacon fat over medium heat until tender – about 5 minutes approx. Add the roasted butternut squash, carrots, chicken broth, and coconut milk to stock pot and bring to a boil, while stirring regularly. Return the smooth ingredients to the pot and bring to a simmer and season with salt, cinnamon, and nutmeg. 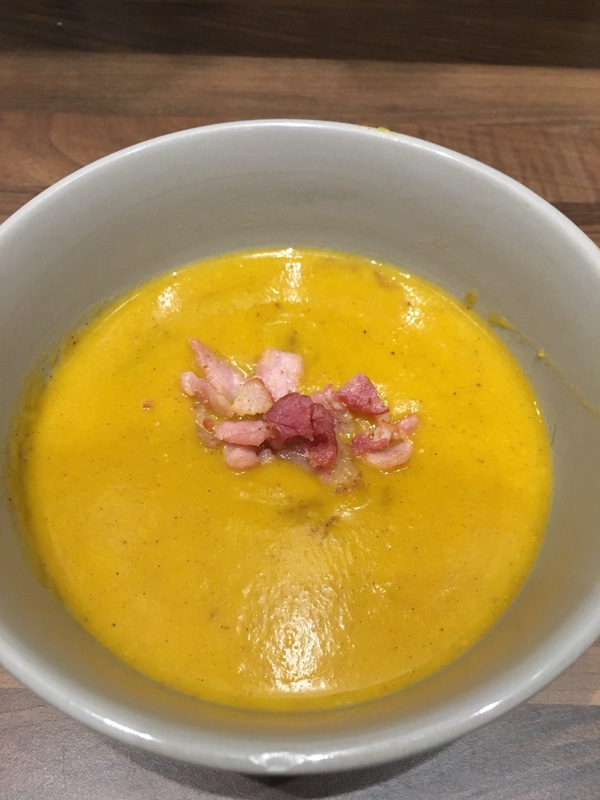 Serve your soup in large bowls garnished with bacon or you can freeze it! Best consumed cosied up on a Sunday evening after a day outdoors! 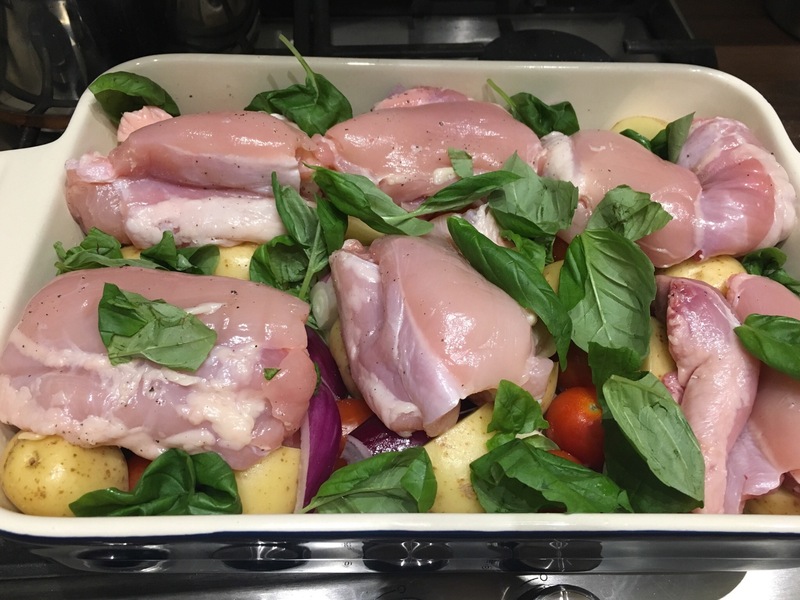 Place the chicken thighs, tomatoes, onion, potatoes, garlic and most of the basil in a large roasting dish. Spray with low calorie cooking spray, season with salt and pepper and toss to coat. Sit the chicken on top of the ingredients and cook in the hot oven for around 30 minutes. After 30 minutes, sprinkle the bacon evenly across the dish, and then place back into the oven to cook for a further 20 minutes until the bacon is crispy and the chicken is cooked through. Serve with the remaining basil and add some greens to bulk out your meal. This one packs a punch and will certainly keep you warm! It’s a Slimming World recipe for any of you who happen to follow that particular plan. Spray a deep non-stick frying pan with low-calorie cooking spray and place over a high heat. 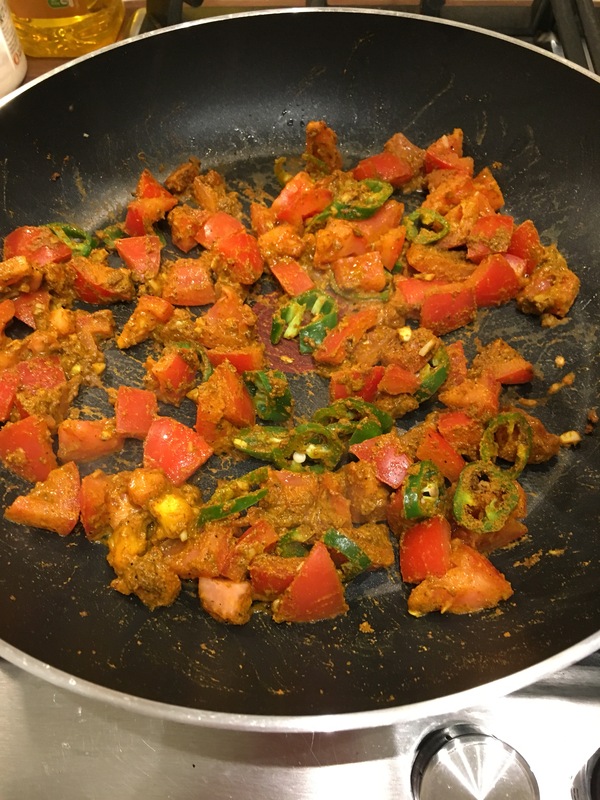 Add the garlic, chopped chillies, chopped tomatoes, cumin, garam masala, turmeric, sweetener and salt and stir-fry for 3-4 minutes or until the tomatoes start to soften. Add the split chillies and stir-fry for 1-2 minutes, then add the yogurt and 200ml water. Stir well, reduce the heat to low and simmer gently for 10 minutes or until the sauce has reduced by about one-third, stirring occasionally. Don’t worry if the yoghurt separates at first – it will disappear into the sauce eventually! While the sauce is cooking, spray another non-stick frying pan with low-calorie cooking spray and place over a high heat. 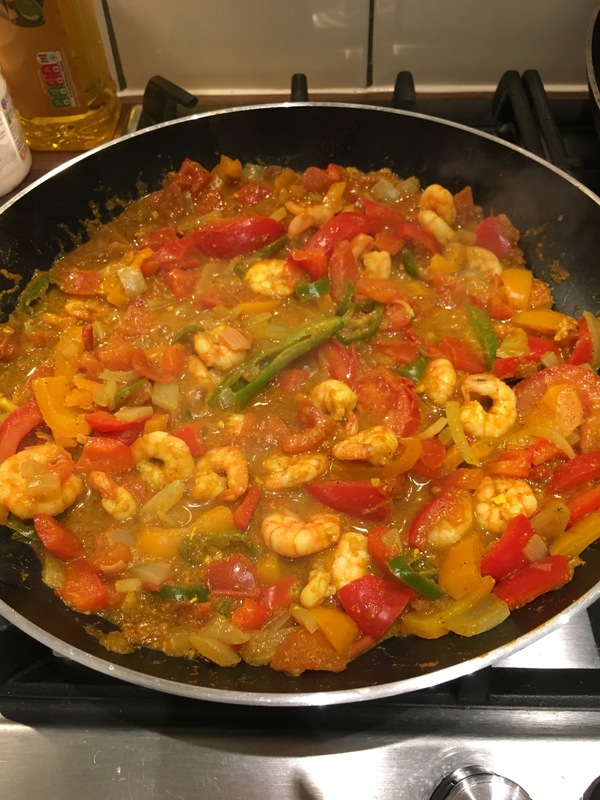 Add the onion, prawns and peppers and cook for 5-6 minutes or until the prawns turn pink. Add the tomato wedges and stir-fry for 2-3 minutes or until the vegetables are just tender. 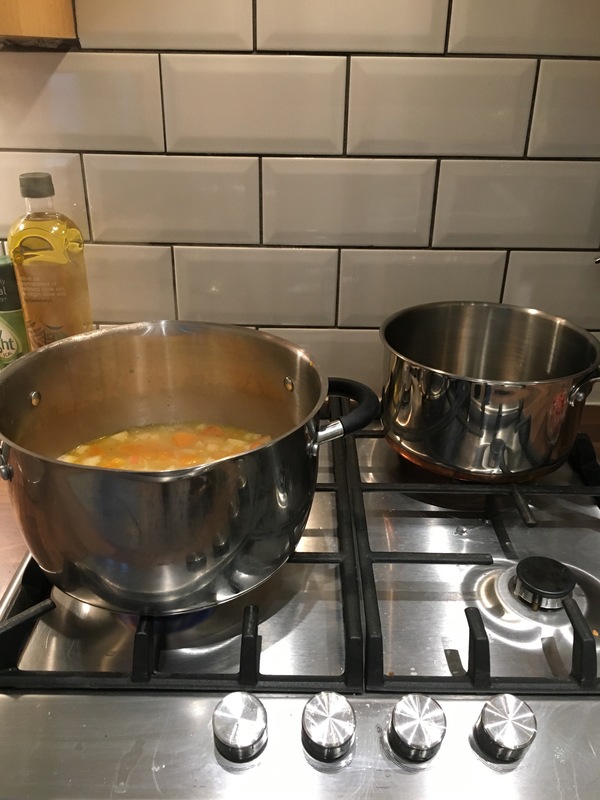 Mix the cornflour with 1 tbsp cold water to form a smooth paste, stir into the sauce and simmer for a few seconds or until it thickens, stirring constantly. Add the stir-fried prawns and vegetables to the sauce, stir well and bring to the boil. Serve with your favourite rice. So there it is… Proof that delicious dishes perfect for colder weather don’t have to be full of fat and loaded with unnecessary calories. Just remember that a recipe isn’t set in stone and if you know what you’re doing with flavours, these can all be adapted to suit your tastes. Try them out and let me know what you think! I like that you used bacon to add some smokiness to your soup. Thank you Cathryn! It makes it a little bit salty and give it a bit of oomf, if you know what I mean!